The Autumn season is upon us! I have a very autumnal makeup tutorial for you all, to get in the mood for the amazing time of the year. So I already prepped my face, which just means I cleansed it, moisturized and primed. Then I start of with my foundation. 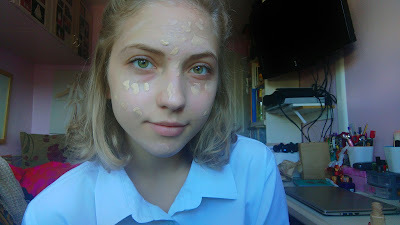 I usually put a little bit all around my face because I don't like wasting any foundation so I'd rather put it all on my face rather than the back of my hand. I blend it all with a flat makeup brush, they're not that fancy as it's jsut a cheap set I found on ebay but here's the link if you want to check it out. I'd say they're really good for beginners (me) as they're not the best quality but hey they do the job. 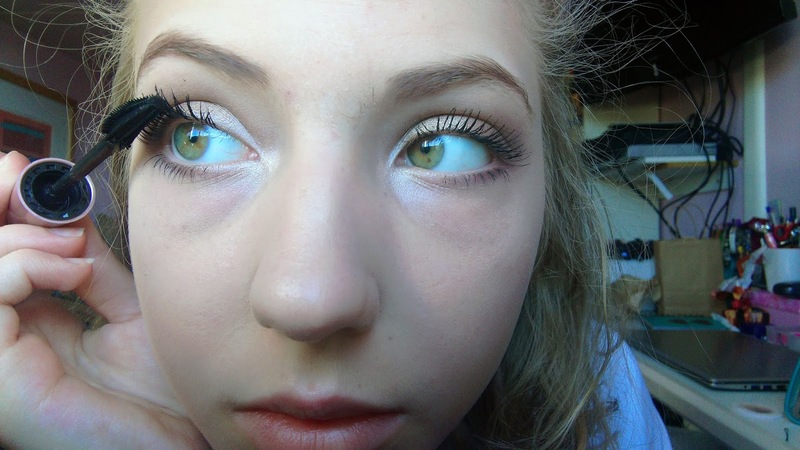 I used the small flat one for foundation and the bigger one for blending. Anyhow, I also used a beauty blender as I feel like it just gives you that 'flawless finish'. Also it's a dupe of the actual one, I'm pretty sure this one cost me like £2. 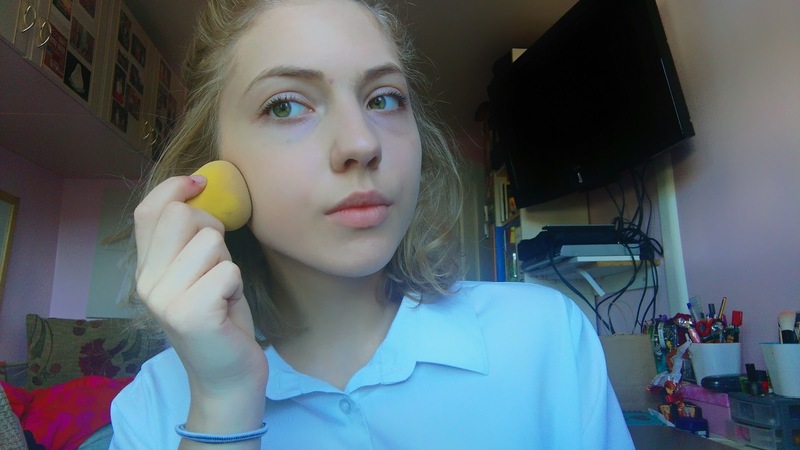 If you don't know what a beauty blender is, its just a sponge. 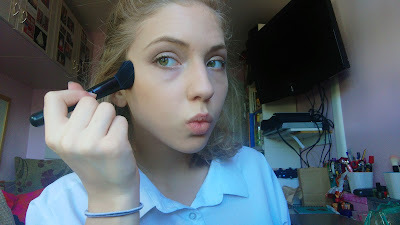 It has a nice shape to it and when its wet you use it for blending foundation, concealers etc. 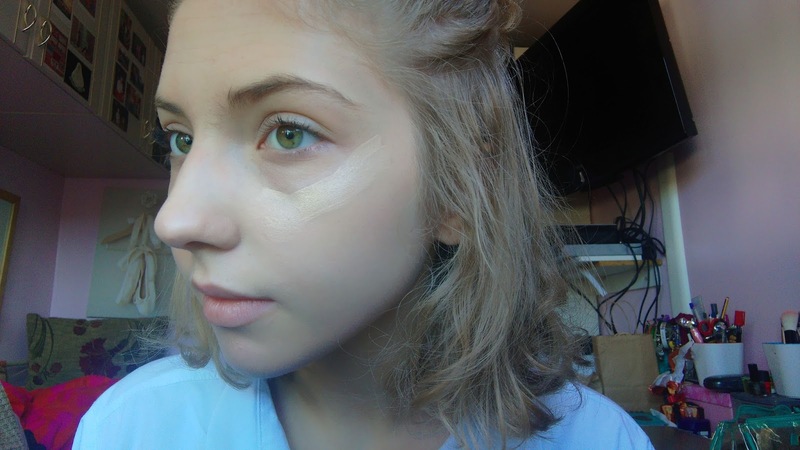 Moving on to my concealer. 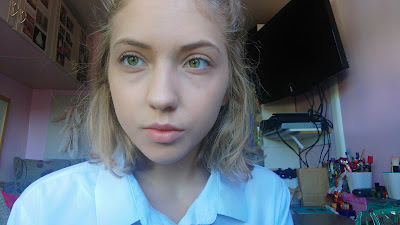 I don't know whether you can tell but I have pretty bad dark circles under my eyes, I've always had it, don't really know why... gotta cover them up though. I recently bought the Maybelline Fit Me concealer, I think the shade is a little too orange but when it blends out its not too bad. The coverage is amazing though! 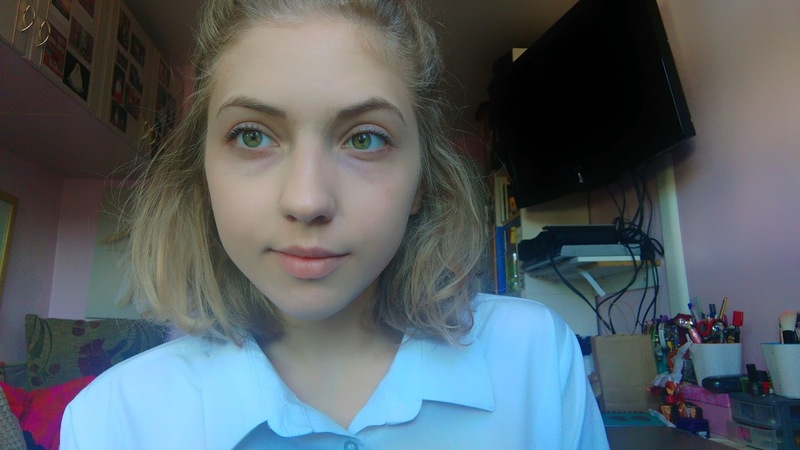 It really covered the dark circles. I wanted a highlighting shade nonetheless, which clearly didn't work out so I went over with my Rimmel Wake Me Up concealer in shade 30 Classic Beige (which doesn't highlight as much as I want it to). 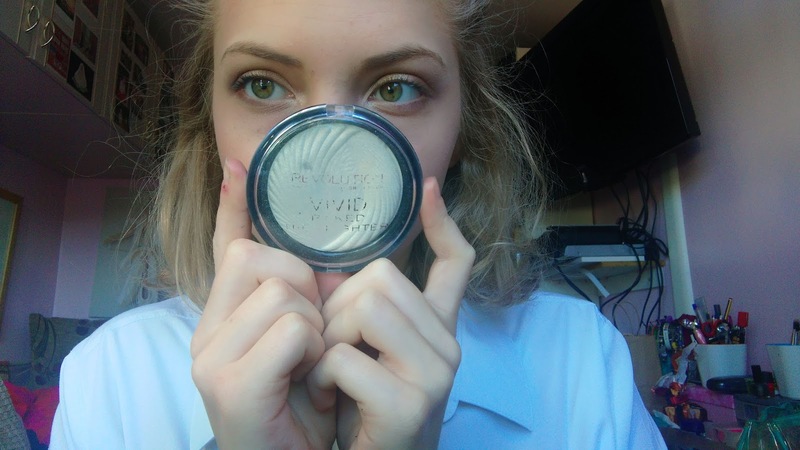 After applying all the liquids on my face I always use a setting powder so it doesn't glide off my face and that I don't get lines on my eyelids from my foundation. For a while I've been using the Rimmel Stay Matte Powder. You can get it in a translucent shade but mine is in shade 04 sandstorm. 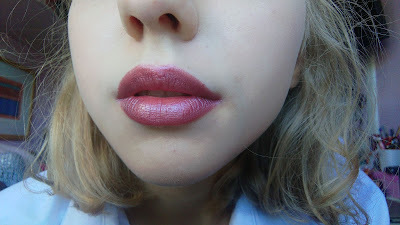 Not that it makes a difference, you cant really tell the shade, for me it looks pretty translucent. 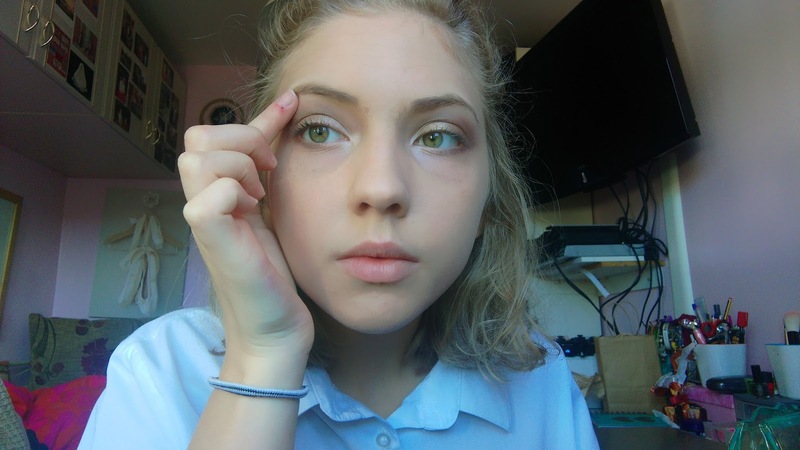 Now I don't normally do this but I got really excited about the eye makeup that I completely skipped everything else to do this first (I always do contouring or use some blush, basically I do my whole face before I do my eyes). Oopsie. Anyway, I recently purchased the Makeup Revolution eye shadow palette. 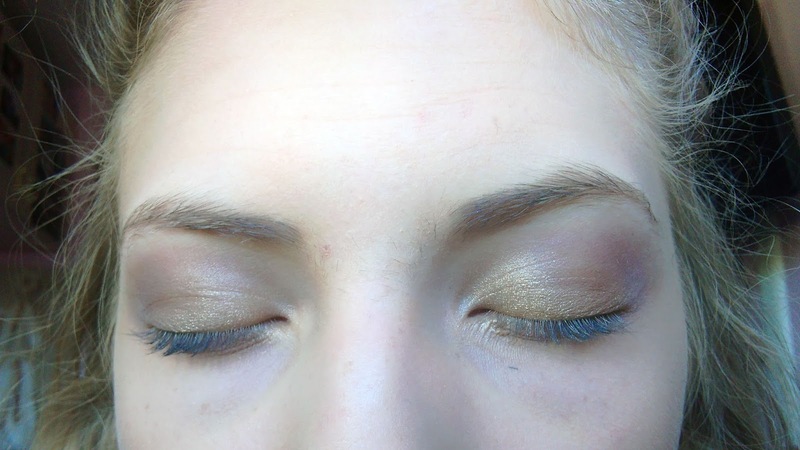 I wanted this look to be very simple so that everyone could do it, even if you're not good with eye shadow. Now let me just say that they have a lot of these and I'm admitting that I can't actually find the exact same one online. Here's a similar one if that's any help. 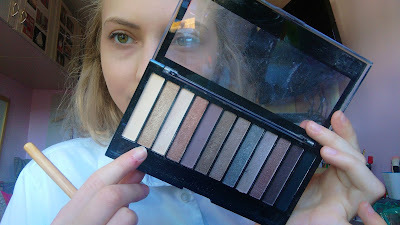 The palette is very good for autumn as there are a lot of shimmery brows and purpley plum colours. 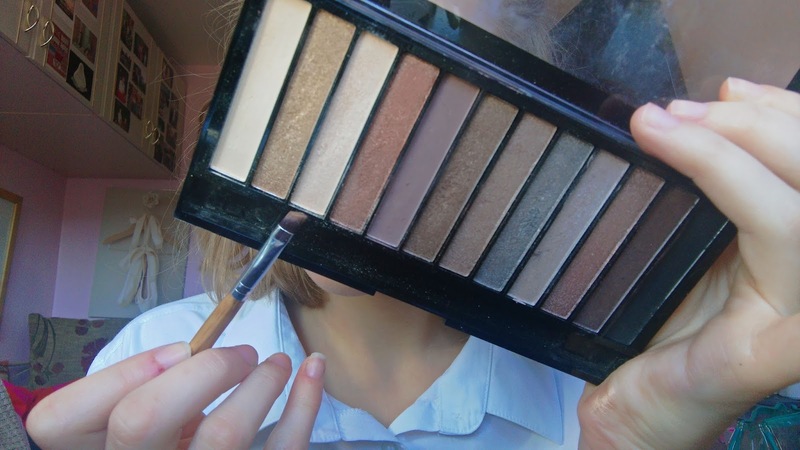 The pigmentation of these palettes is just amazing. This means that the colour you see on the palette is the colour that shows on your lid. Lastly I'll talk about the price. So most palettes like this in the shops will be about £10+. 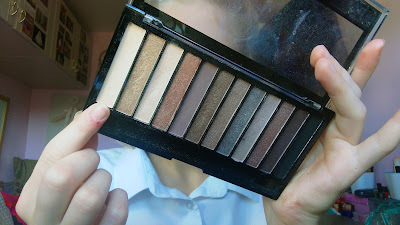 This palette only cost me £4, it just doesn't get any better than this. 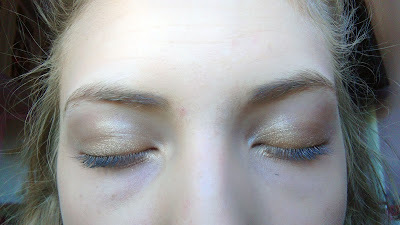 As you can see I firstly used the second colour from the left which was a very light shimmery brown (love my shimmers). 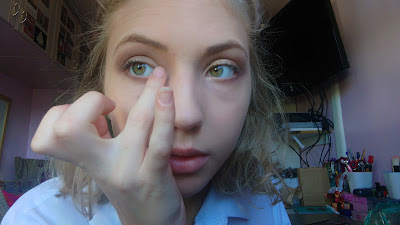 Now using this purple browny colour I go into the crease of my eye just to make it stand out a bit. 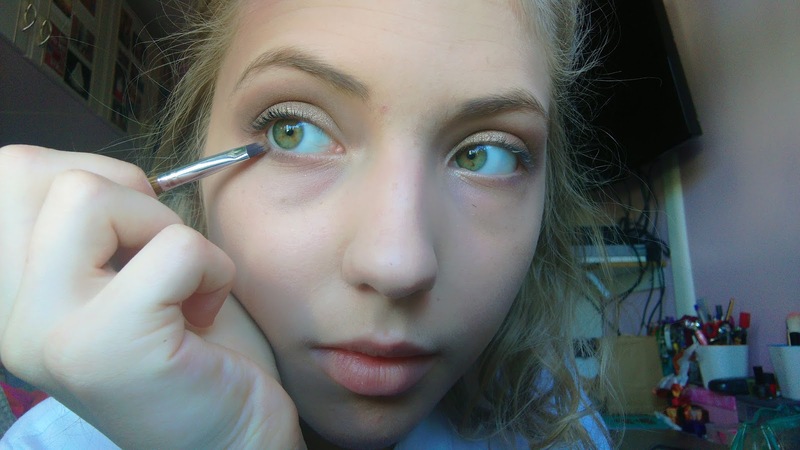 This can be quite messy so don't worry if it's not blending out as you want it. 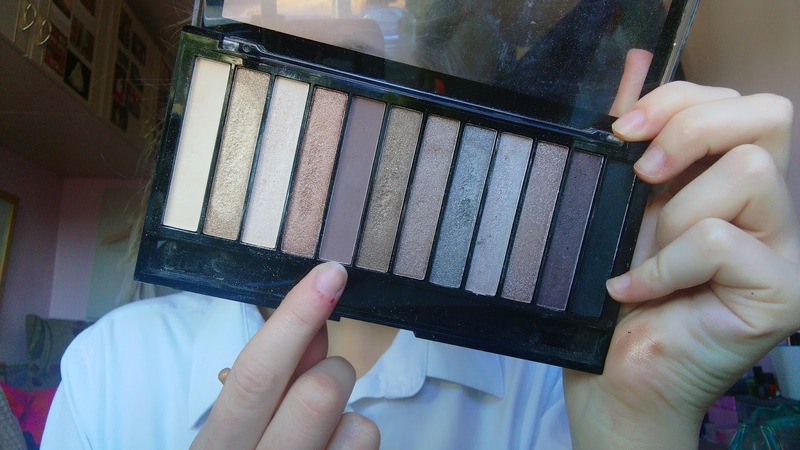 This shade it a matte one and I thing it looks great in contrast with a lighter shimmery shade. Lastly I used an eyeliner brush and went along my lower eyelid with the same shade. 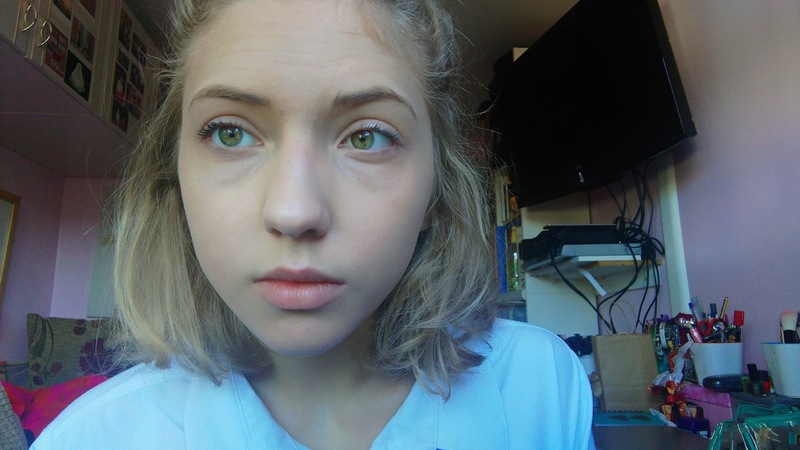 I usually go about half way through the eye. 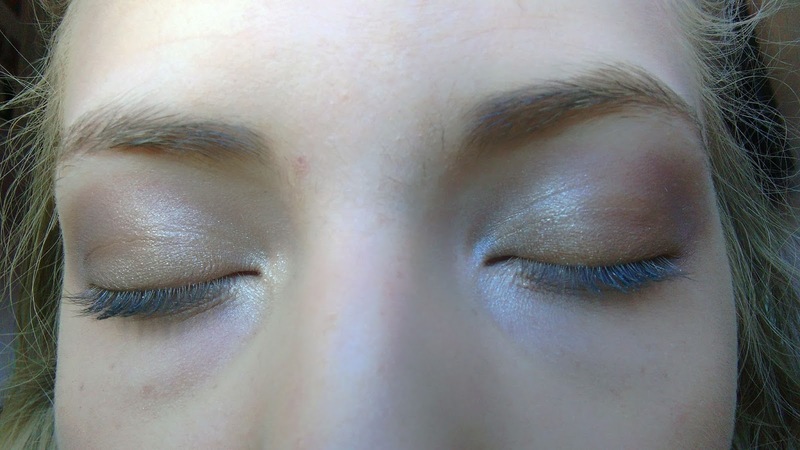 So using this light shimmery shade I go into the crease of my eye which I think in the end it's the thing that makes your eye pop. This can be as messy as you want so you don't have to be precise. Lastly, using the light matte shade I go over my brow bone. This is meant to accentuate the eyebrows but I think its also a good way to dull down the eye shadow if you went a little crazy with it and it's right up to your eyebrow. 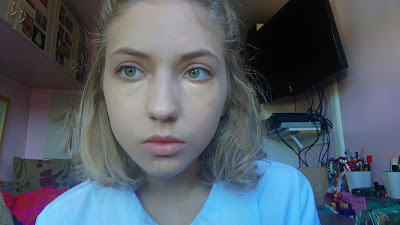 Finnaly, coming back to my face, I did a bit of contouring, added some blush and a tad of highlighter (again by Makeup Revolution). For the contouring I actually used a powder foundation by Sephora, I'm pretty sure it's just called 8hr Wear Mattifying compact foundation. 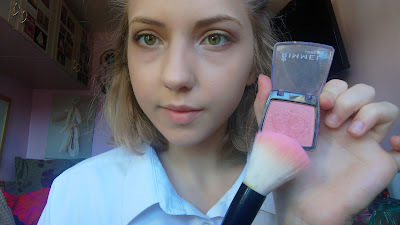 For the blush I'm using a Rimmel powder blush in the shade 04 Pink Rose. Lastly the highlighter, I'm using the Makeup Revolution Vivid Baked Highlighter in Golden lights. 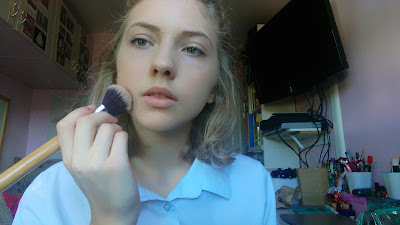 And now, finishing off the look, I do my brows, mascara and add some lipstick. 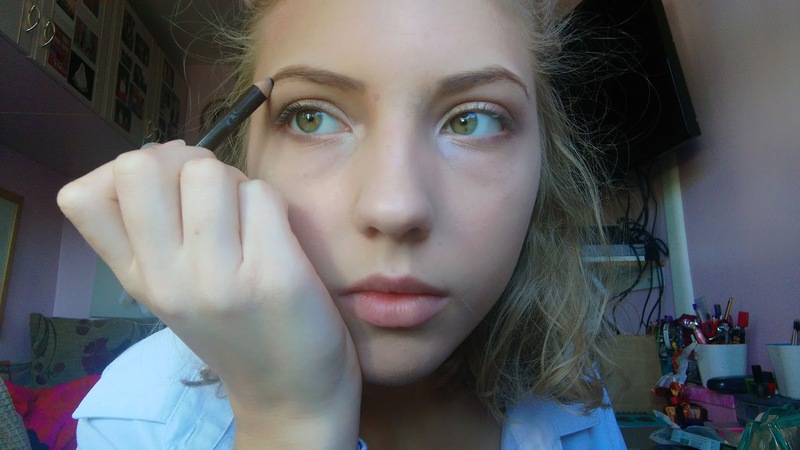 For my brows I go over them with the Laval Eyebrow Pencil in Dark Brown. The mascara is the Maybelline Lash Sensational (amazing mascara!) and lastly I use the Natural Collection Moisture Shine Lipstick in the shade Heather which is a lovely purpley pinky shade. And that's it! 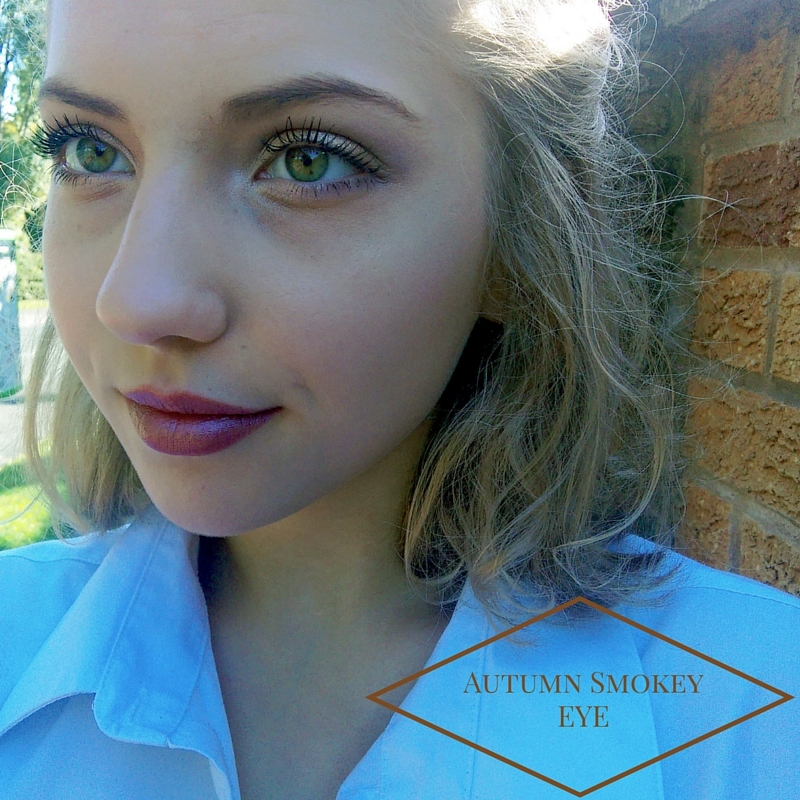 That's my version of the Autumn Smokey Eye. Don't forget to check out Jade's version. 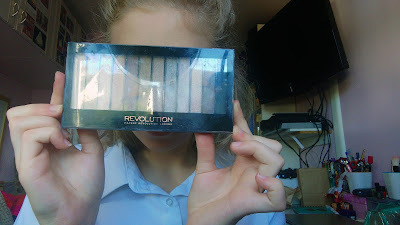 Revolutions, is really good considering their prices!